I had been to this wonderful school once before when I worked with all the classes in F2 and KS1 using some Drama to encourage the children to write stories. This time I was using my poems. It was SUCH GREAT FUN!!!!!!!!!!!!!!!!!!!!!!!! 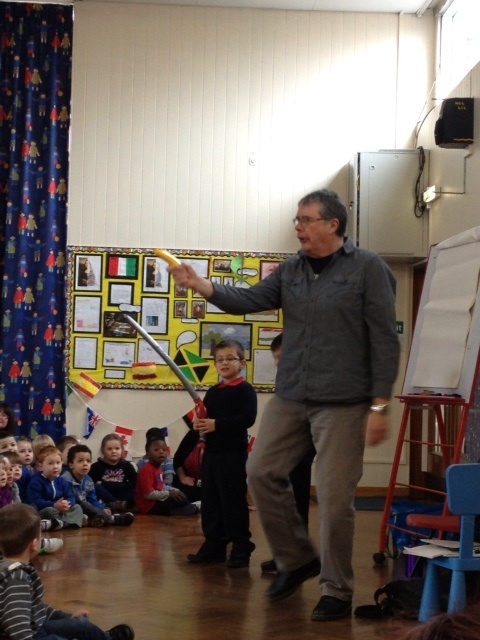 Especially when I was performing the poems and all the school was joining in. A huge thank you to Mrs Harper the Headteacher, and everybody concerned, especially the little boy who said he had an alien in his house and another little girl who said her dad was an alien. It could all be true!!!!!!!!!!!!!! 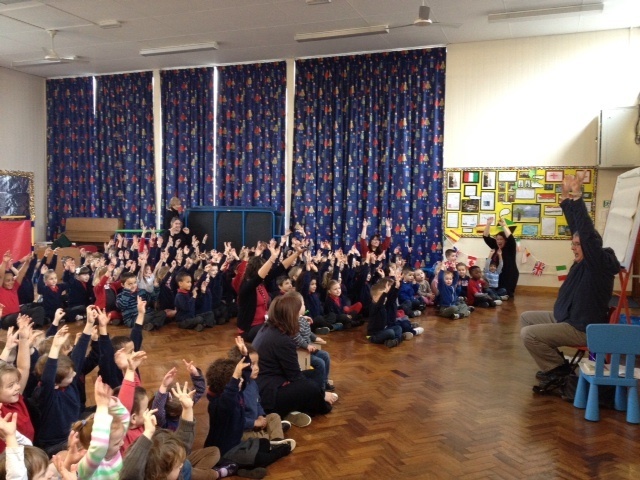 The first photo is me with a Pheonix pirate and the second one is me surrendering to loads of Pheonix Infants, actually it’s us all performing a poem about Creepy-Crawlies!